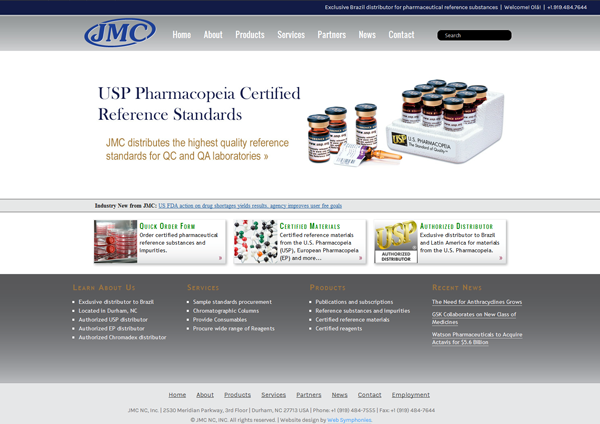 Located in Durham NC, JMC NC is a supplier of Quality Control materials. They provide reference materials to the pharmaceutical, food, and veterinary industries. They are an exclusive distributor to Brazil and Latin America, and are an authorized distributor for the United State Pharmacopoeia, the European Pharmacopoeia, and Chromadex. A full WordPress based content management system to manage pictures, pages, content, galleries, etc.